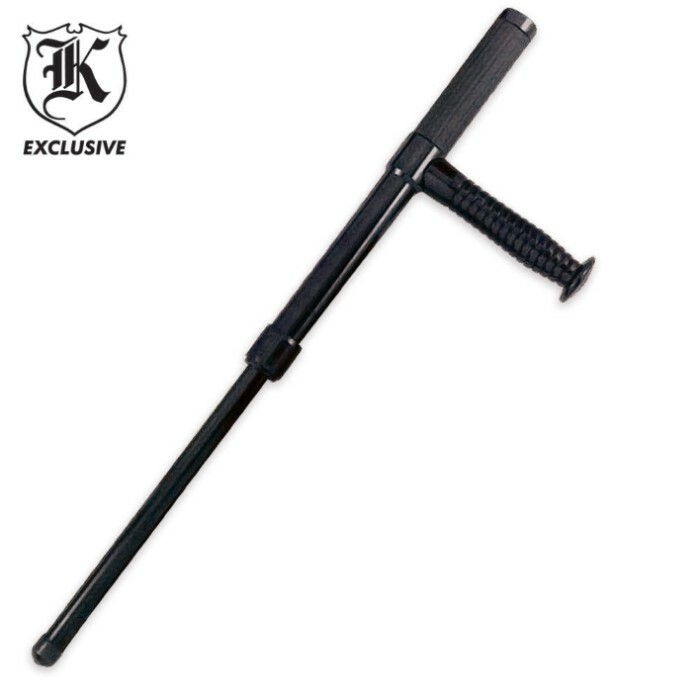 Collapsing Baton | BUDK.com - Knives & Swords At The Lowest Prices! This Collapsing Baton gives you the best of both worlds! Features a collapsing impact stick along with a rubberized grip and side handle. 21" overall. 12 1/2" closed.